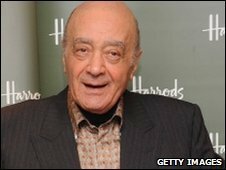 Mohammed Al Fayed has sold London department store Harrods to the Qatari royal family's investment company for a reported £1.5bn ($2.3bn). The Egyptian-born tycoon acquired the business in Knightsbridge following a £615m takeover in 1985. Ken Costa, an adviser to the deal with Qatar Holdings, said Mr Al Fayed was retiring "to spend more time with his children and grandchildren". He will continue to promote the store in the role of honorary chairman. But Mr Al Fayed will not be involved in running the company on a day-to-day basis. The sale, signed in the early hours of 8 May, will include all parts of the Harrods group, including Harrods Estates and a charter aircraft service. Qatar Holdings is the investment arm of the emirate's sovereign wealth fund, Qatar Investment Authority. Although it failed in a bid for Sainsbury's in 2007, it is the third-largest shareholder in car-maker VW and has a stake in Porsche. 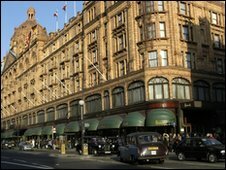 Its chairman, Sheikh Hamad Bin Jassim Bin Jabr Al-Thani, who is also Qatar's prime minister, said Harrods would add "much value" to its portfolio of investments and generate "good and stable returns as a business". He added: "It's a historical place. I know it's important, not only for the British people but it is important for the tourism." His vice-chairman, Dr Hussain Ali Al-Abdulla, said the acquisition was a "landmark transaction". The pair were given a tour of the store by Mr Al Fayed before a news conference in the fourth floor Georgian Restaurant. Mr Costa, chairman of asset managers Lazard International, who advised the Al Fayed family trust on the sale, said Qatar Holding had been "specifically chosen" by Mr Al Fayed because he believed it had the "vision and financial capacity" to support the long-term growth of the store. "In reaching the decision to retire, he wished to ensure that the legacy and traditions that he has built up in Harrods would be continued, and that the team that he has built up would be encouraged to develop the foundations that he has laid," Mr Costa added. Reports in March had suggested that the Gulf-based investor, which works on behalf of the royal family in the Arab emirate of Qatar, had approached Mr Al Fayed about a possible deal. However, staff were assured at the time that the store was not for sale. Mr Al Fayed's UK business interests include the Premiership football club Fulham FC and a recent rich list put his fortune at £650m. During the 1980s, a battle for control of the store formed part of a long-running feud between Mr Al Fayed and the late businessman Tiny Rowland. Mr Rowland later accused his business rival of breaking into a safety deposit box stored at Harrods. Mr Al Fayed waged a 10-year campaign in an attempt to prove that Princess Diana and his son Dodi, who died in a Paris car crash in 1997, were murdered in a conspiracy.